Scott Stevens killed himself after a 6-year gambling addiction—were the machines to blame? 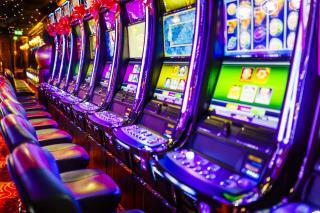 (Newser) – About 1% of the US population (around 3.2 million Americans) has a gambling disorder, per the National Center for Responsible Gaming—and the Atlantic tells the tragic story of one of those addicts and how a lawsuit took the entire industry to task for his death. Scott Stevens was a successful Ohio finance exec whose life started unraveling in 2006 after a trade show in Vegas. For six years, his gambling habit spiraled out of control: He sneaked off to gamble when his wife thought he was working, embezzled nearly $4 million from his firm, and drained his family's savings—until the day in 2012 he decided to end his life. After his suicide, Stacy started researching gambling addiction (she hadn't even known about her husband's problem) and filed suit against the West Virginia casino where he was a regular, as well as the maker of the slot machines there. A lack of willpower as to when to stop is the so-called addiction. I once knew a guy who played poker just twice a week and always was willing to lose more than anytime he ever won, then lived on white beans and cornbread until the next payday. At least playing cards is preferable to letting a machine take your money and tell you when you won.